For over 10 years, we have been serving the Aurora-Naperville area. At Eyes of Chicago, we strive to help you see, feel, and look your best. We dedicate ourselves to enhancing the quality of life for every individual that walks through our door, by providing the latest technology in lenses, the hottest trends in frames, and unparalleled customer service. 15% off exams before 3 PM on weekdays. Includes single vision polycarbonate lenses with a standard anti-reflective coating. 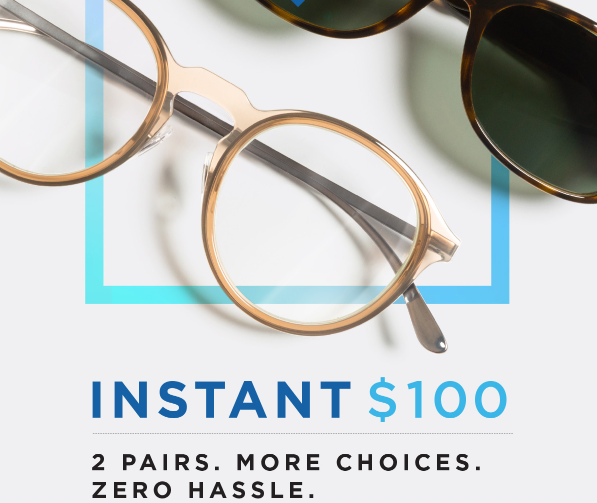 Purchase two qualifying pairs of lenses and receive a rebate for $50-$100. Here is just a sample of reviews from our wonderful clients over the years. LOVE WHAT WE DO? LEAVE US A REVIEW!